To this day, ASTRAL DOORS have always been generally considered as being one of the top acts in the second-tier of the traditional metal/power metal genre. Whilst that has been a relatively fair assumption in the past, I think after spending the last few days constantly blasting their new album JERUSALEM it’s about time they started being classed as one of the elite in the genre. This is by far the band’s best and most complete accomplishment yet due to a combination of an awesome production, fantastic artwork, great lyrics and stellar musicianship, of course it doesn’t hurt having the sublime vocals of Nils Patrik Johansson at your disposal either. 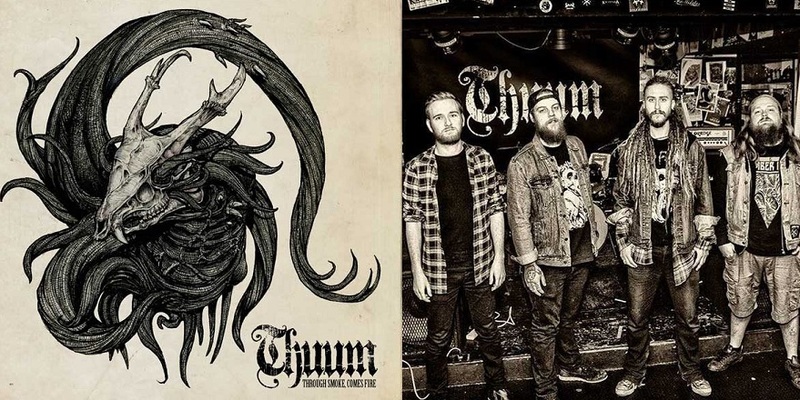 The album has already been unfairly criticized for its religious content, but those who were smart enough to dig a little deeper have found that the base concept of the album is more about ancient wars than anything else. Just because some of those had religious relevancy should be a reason to shy away from writing about them. Oh, and yes the cover art it freakin’ awesome no matter what anybody says. Of course as usual there will be the people writing ASTRAL DOORS as nothing more than a DIO clone, but think about it for a second…..now that the god himself has left our realm who better than to take the baton and continue the tradition, well it’s either these guys or JORN I guess, but I say why can’t have two! DIO is clearly the prime influence here along with Tony Martin era BLACK SABBATH, but there’s also a RAINBOW/DEEP PURPLE vibe here too. Johansson contributes one of his best overall vocal efforts so far, maybe just slightly eclipsed by his effort last year on SALT, from WUTHERING HEIGHTS which I still say is one the best Power Metal based albums of the last two decades. It’s hard to choose highlights on an album that you really get right into but if I had to I’d probably go with the trio of 7TH CRUSADE, PEARL HARBOUR and CHILD OF ROCK N ROLL. But you can also find other rippers like BABYLON RISE, THE BATTLE OF JACOB’S FORD and title track JERUSALEM, heck you could even throw in SUICIDE RIME too. 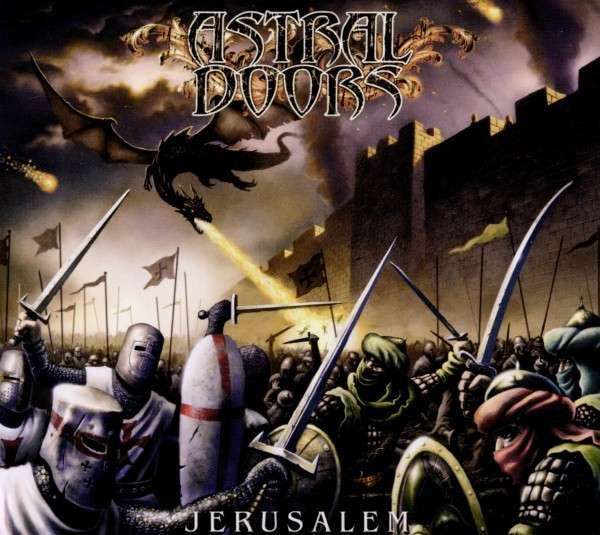 JERUSALEM is easily my favourite ASTRAL DOORS album so far and I would be very surprised if Traditional Metal fans didn’t get right into this one. I just hope we don’t have to wait too long until the band start work on another album, I’m already impatiently waiting….. Inside this Cavern is Worthless, and despite its name, this track is far from it. 7 Minutes plus of heavy headbanging beats, with long instrumentals that allow each musician to show off their prowess. Reckless Love hold this very strong level of top notch songs on the whole album, they only loose a bit of the quality when it comes to the more calm songs. “Dying To Love” is a more melancholic song, but it’s not as good as the previous songs and also “Edge Of Our Dreams” is not as good as similar power ballads from other bands. From all the half-ballads “Hot Rain” touches me the most.